Successfully Added Xiaomi Max 3 Android Phone - 6.9-Inch Screen, Octa Core, 64GB ROM, Dual Camera, Fingerprint, 5500mAh Battery, 4G (Gold) to your Shopping Cart. Built-in 5500mAh battery, which makes it the largest-battery Mi phone on the market. 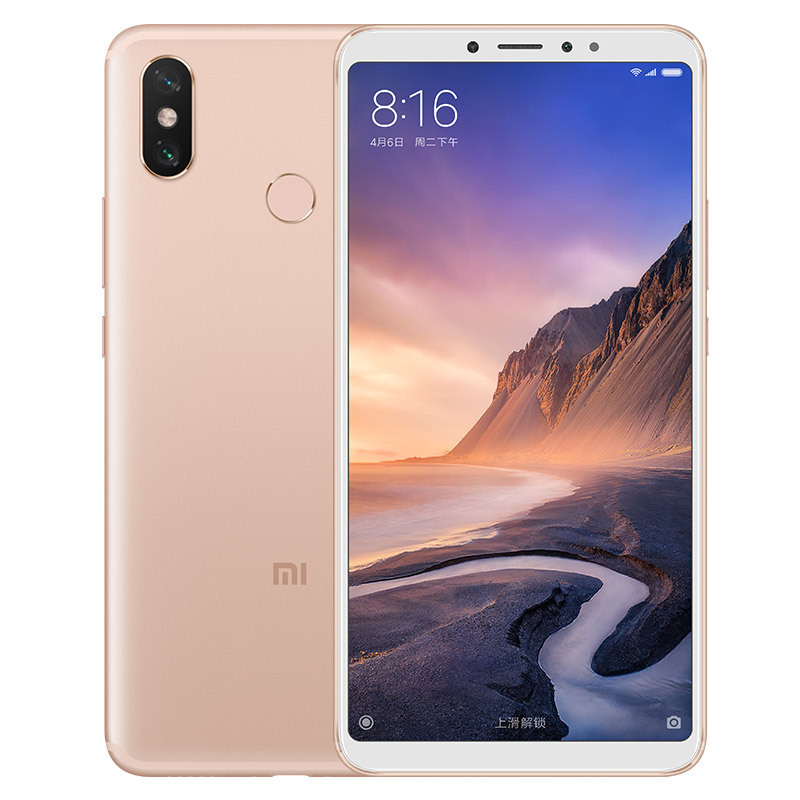 This Xiaomi New Max series smartphone in face of the Xiaomi Mi Max 3 equipped with a 6.9-inch 18:9 large full-screen with a resolution of 2160 x 1080 and a screen ratio of 85.19% While it comes with almost the same body size, due to the full-screen technology adoption, it sports a larger display. Xiaomi Mi Max 3 built-in 5500mAh battery, which makes it the largest-battery Mi phone on the market. Also, the manufacturer brought a fast charging option that supports 9V2A QC 3.0. So the charging efficiency is improved a lot and the heat dissipation is more uniform.